David Nuuhiwa is a Hawaiian-born surfer who is famous for both his smooth style and incredible noseriding abilities. A competitive surfer, Nuuhiwa was regarded as the finest surfer of the ‘60s and who easily made the transition to shortboards in the ‘70s. We caught up with David to talk about surfing, style, and Hendrix. Back in that time, it was unreal. There were no big hotels and Waikiki used to be a place of just tiny cottages up and down Kuhio Avenue. There was a handful of us in the water back then. Surfing wasn’t very popular among us kids at the time, but we always looked up to the Waikiki Beach Boys. They were all really good surfers. Sadly, a lot of them are gone now. Do you remember the first time you were standing on a board? Oh, yeah! It wasn’t really a surfboard; it was actually a skimboard. We used to do it right there at the wall in front of Waikiki over there by Queens. I would do the paipo board thing right after school. I would go down there and catch waves along the wall and ride in on my belly. Then we started to stand up on those things until we moved on to surfboards. My first surfboard was a balsa board. Man, it was so heavy we had to drag it down to the water. What brought you to the mainland? My family moved to Northern California, not too far from San Francisco. After living in Hawaii for nearly 12 years of my life, here I was, an innocent little kid wearing shorts, an aloha shirt, and a lei in the dead of winter! (Laughs) Later, I wanted to go surfing and I didn’t even own a wetsuit. I couldn’t believe the difference in the water. It was shocking! I was in the water for about four or five waves and I was done. You lived in the South Bay? Tell us about the famous David Nuuhiwa Noserider board. I remember Donald in Hawaii when I was growing up. He was the hot kid back then. Back in Hermosa, Donald had mentioned to Bing Copeland that we should make a noserider board for my style of riding. We tested a lot of boards and we finally hit on this design. It’s funny, just about every longboard made today carries a similar plan shape, concave and rocker as my original Noserider. You are known to have had noserides up to 10 seconds or more at a time. What’s your secret? Back then, the waves were so small there was nothing else to do but ride the nose. Every contest I was in, the waves were at the biggest… maybe shoulder high. Noseriding was simply the way to win. The boards were becoming lighter because they were made of foam and so you could move the board around better. But there was really no secret to it at all. I would just get out there and do it. I just lucked out and happened to be the guy. Tell us about the controversy between you and Nat Young in ’66. That incident was really blown up by the surf media. They kind of made a war out of it. They were saying things like, “The US is taking on the Aussies!” Then the Aussies got kinda cocky and were saying this and that. I didn’t say a f-ing word. All I wanted to do was surf. You transitioned easily to the shortboard? 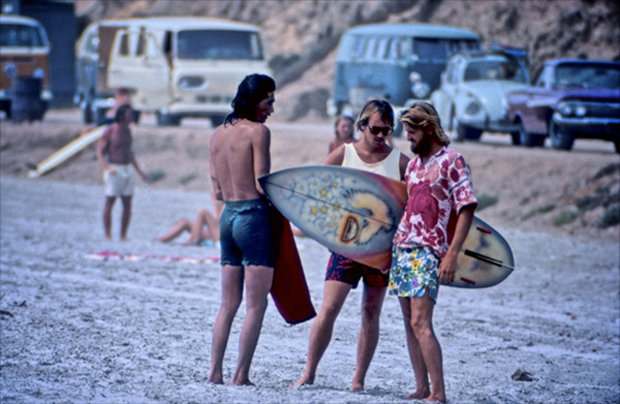 When I was a boy, I grew up riding shortboards with Keone Downing (son of George Downing). 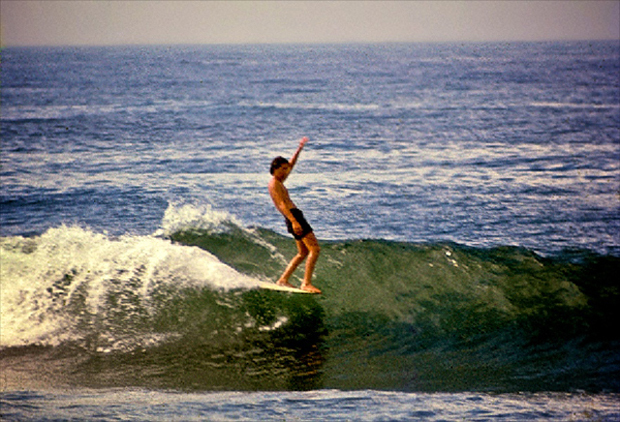 He had a board that was 5’6.” So we were already riding these little boards made out of balsa. We grew up with this stuff so it was really no problem. I left the longboard and easily transitioned to shortboards. In some ways it was like being a kid again. The San Diego boys were upset with me because I was riding a fish design. They wanted to claim that design. But the truth is that I was shaping and riding my own fish designs with Dyno over in Huntington. 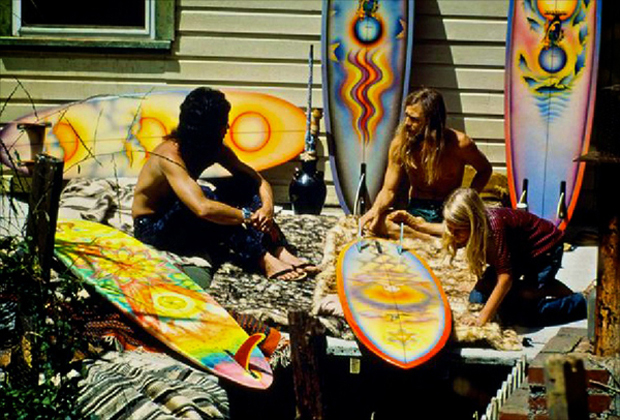 If you go back to the museums, you can see there was always a twin fin board, so no one really owned that design. I wasn’t paying attention to my car at the time and someone took off with my board. But what they didn’t know was that I had three or four of them in my hotel room. They made their statement, but it didn’t slow us up in the contest. Jimmy Blears and I broke out our little fish boards, and we rode the small waves like we were on skateboards. We blew past everyone while they were looking the other way. You were known as quite the rock star. Tell us a little about that time period. That was around the Draft, Vietnam, and the Movement. Most guys, like Corky Carroll, were listening to The Beach Boys and, in contrast, I was listening to Bob Dylan. We all let out hair down. I did a movie with Jimi Hendrix in Maui called Rainbow Bridge. I was just stoked to be at the right place at the right time. It was fantastic. Hendrix was a big deal back then. He was playing the music while I was surfing. It was unreal. Hendrix was a radical dresser and wore a lot of weird stuff. I guess I ended up buying clothes that were weird too. How important is style to you? A lot. It’s called “flow”. You’ve got to get into a good rhythm and once you get there you can pretty much ride the wave any way you want. It depends on the wave. If you are feeling good on the first two waves, you simply relax and everything will turn out well. It’s really simple. How do you feel about the resurgence in longboarding? Takayama and I tried to pull it back in, and we gave it a big push during a period when nobody wanted to ride a longboard. It was good for everyone as we got a lot of older guys off the couch. A lot of the old guys got back into it because it was easier to paddle the longer boards. On one hand, you have the longboarders and, on the other, you have the shortboarders (like Kelly, etc). Unfortunately, today all the attention comes from the companies and promoters that run the contests and they could care less about longboarders. It would have to be Tavarua. I really love that wave. It’s just a nice, long left. I still love the Hawaiian plate lunches. (Laughs) It would have a little bit of fish or teriyaki steak with a scoop of rice and salad. It was pretty much our staple over there. I still listen to the old stuff—Led Zeppelin, The Stones and Hendrix. Those are really my favorites. I’m still a rocker. What is the greatest thing you’ve learned in your life? To catch myself before I hit the wall. (Laughs) I’m the kind of guy who likes to run to the extreme. For me, it’s about learning how to go there and then pull out. What board are you riding these days? Right now, I am on a 10’ noserider. Because of work, it’s really hard for me to get in the water and, when I do, I want to be able to paddle and catch waves. They’re just so much easier to ride. What’s next for David Nuuhiwa? We’re redoing the company and bringing in a new exciting fish shape with my original art, shaped by Al Dove. Together with my friends we’re working on a new line of clothing. And we’ll keep making the noseriders too. For more information about David Nuuhiwa and his surfboards click here. 1960’s-era photographs provided by Steve Wilkings. 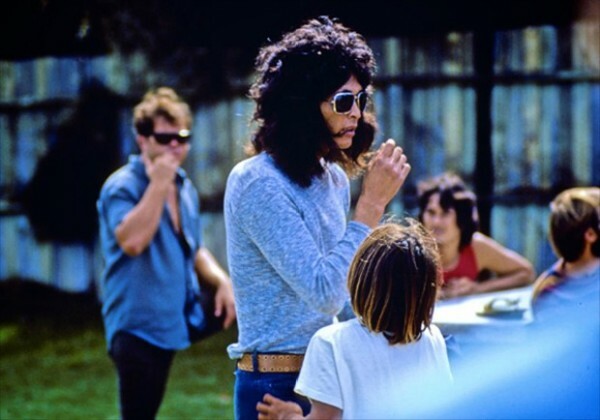 1970’s-era photos by Jeff Divine. All images are under copyright and may not be used without permission.